Jan 18 In Ten Years, Will Social Media Be Relevant? On last week's Why Gen Y Live with Chanelle Schneider, we spoke about social media's immediate relevance, and what companies and businesses should do to hop aboard the gravy train. As more and more people become accustomed to using social media to communicate, at what point does the saturation make us blind to it? What I mean is this - right now, social media is (relatively) new to many people, as is using the internet for social tasks. Much like I no longer marvel at the beautiful trees planted outside of my window because I'm so used to them, will we one day look the same way at the idea of "liking" a Facebook page? I pose this merely as a hypothetical; it is a given that (a) ways of communcation will continue to evolve, just as we no longer use telegraphs as our main mode of talking over long distances, and (b) the "social" part of social media will always reign supreme. We've gotten a taste of interconnectedness, and we aren't going back. But what's next? 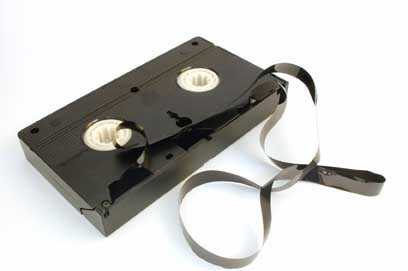 In my 23 year old mind, Facebook and Twitter are pretty darn awesome, and I don't see them going anywhere - however, I'm sure people said the same thing about VCRs in 1995. What do you think? Will social media continue to play a large part in our lives moving forward? How do you see it changing? Jan 18 Hey, want to see what the Canadian big banks and big credit unions are up to?